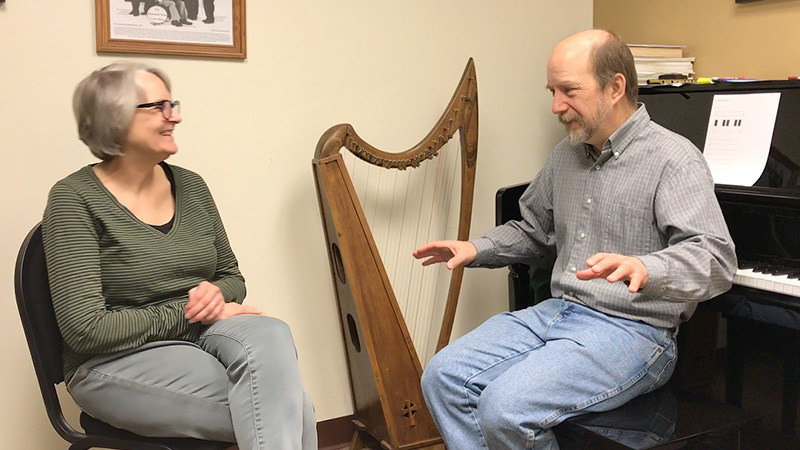 Sean Egan is currently a teacher at The Center for Irish Music, where he offers classes and private lessons on piano, music theory, and aural training, and coaches student ensembles. For more information, please go to www.centerforirishmusic.org. Learning music theory, the fundamental relationships which create the music we love, was one of the most empowering experiences of my life. But many students struggle with it, because they are given too much information to learn at once. So I have created a series of step by step lessons which integrate written, keyboard, and singing exercises to teach the basic musical materials of Irish traditional music. Each lesson builds on the one that comes before it, and each lesson is designed to give the student a thorough understanding of the material before moving on to the next step. The lessons are presented in a series of videos, with accompanying worksheets, which explain the concepts being learned and demonstrate the exercises in detail. Special thanks to Leah Evison, dedicated student and lover of Irish music. She films, edits, and posts these videos, and without her hard work and enthusiasm this project would never have gotten underway.